We are here to provide honest, quality repairs. with ongoing training and the latest equipment to keep your vehicle running safe and efficiently. 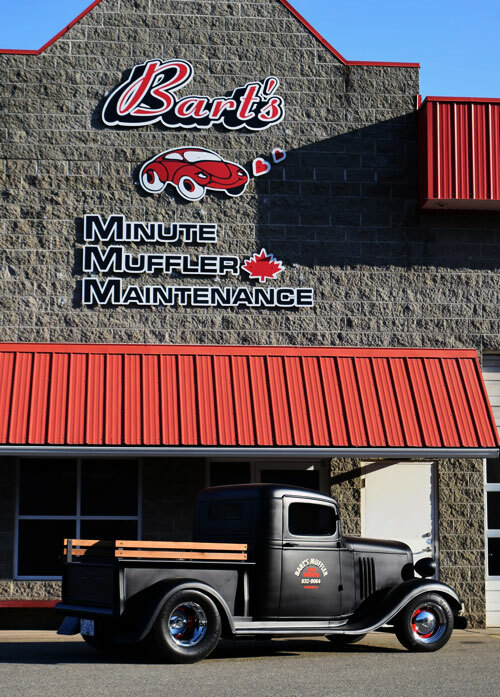 Bart's Minute Muffler & Maintenance opened in 1977. We are a family owned and operated, full mechanical repair facility. Our work is guaranteed and performed by an enthusiastic, hard working team that is focused on honesty and integrity. Established in 1977 by Ralph Bartman (grandfather), Russ Bartman (father) and Bruce Bartman (uncle).